Transphorm Inc. has released the first complete 3.3-kW continuous conduction mode (CCM) bridgeless totem-pole power factor correction (PFC) reference design for high-voltage GaN power systems. 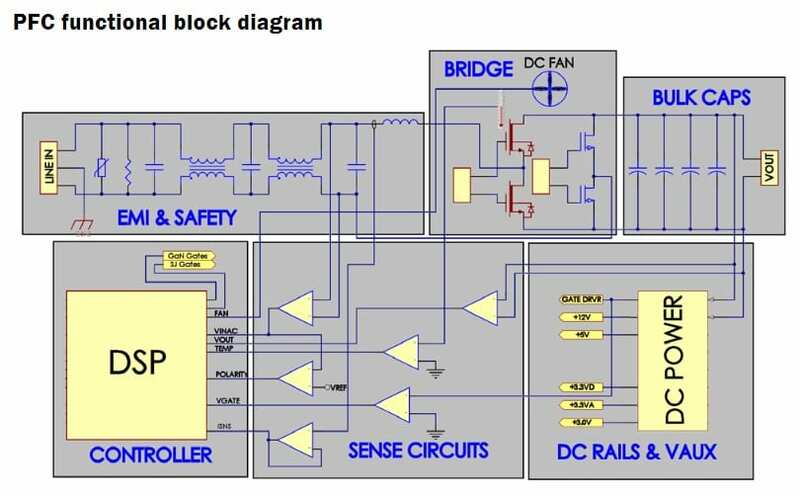 The technical blueprint is used to develop a variety of ac-dc applications. Typical applications for this reference design include: High-end front-end PFCs for merchant power supplies (servers, gaming, crypto mining, and similar multi-kW high density applications); On-board chargers for plug in hybrid (PHEV) and battery electric vehicles (BEV); and Broad industrial power supplies. 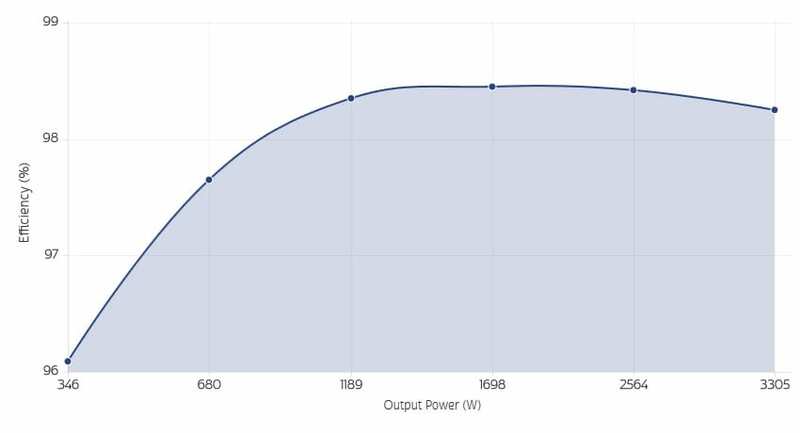 The TDTTP3300-RD 3.3kW bridgeless totem-pole PFC reference design provides a platform for evaluating the performance of Transphorm’s GaN FETs and a starting point for designing a high-efficiency DSP-based PFC converter. This DSP firmware-based totem-pole PFC gives power hardware designers a fully-functional design solution with no digital code expertise required, reducing design time and accelerating time to market. User-defined operational parameters, e.g., VOUT, switching frequency, soft-start, fault limits, etc. Transphorm designs and manufactures the highest quality, highest reliability 650V GaN platform, yielding the only JEDEC and AEC-Q101 HV GaN transistors. The reference design delivers 99 percent efficiency using Transphorm’s 3rd generation 650V GaN FET technology (TP65H050WS – 50mΩ on-resistance) in an industry-preferred, robust TO-247 power package. “As demonstrated by customer end products, Transphorm’s high Q+R devices are proven to deliver what high-voltage GaN has always promised. Increased power density, efficiency, and performance with reduced system cost,” said Philip Zuk, Vice President of Technical Marketing, Transphorm. “Now, we are helping designers quickly capitalize on those benefits by eliminating design knowledge gaps. With our 3.3-kW reference design, we’re arming the industry with a roadmap that was several years in the making. We are excited to see what system innovations will be built upon this GaN foundation,” Zuk concluded.